Hi, Glamazons! I've had this product with me since December but I've only had time to get to it this week. This is actually the first thing I've ever ordered from Sephora and I can definitely say that I am happy with my transaction and plan to order again soon. I bought this bundle mainly because I already have the Becca Champagne Pop in my makeup collection. It is, in fact, my current favorite highlighter. I've hit pan and feel that I need a backup for my fave and I wanted to try Opal and Moonstone as well. 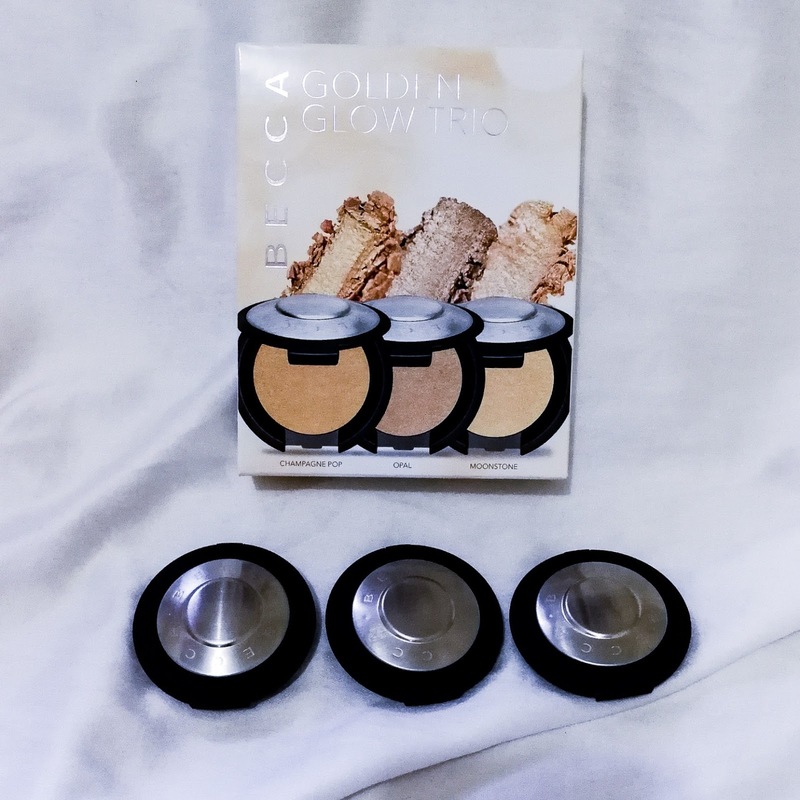 The Becca Golden Glow Trio retails for about around $30.00. You get three travel size highlighters with 2.4 grams of product. 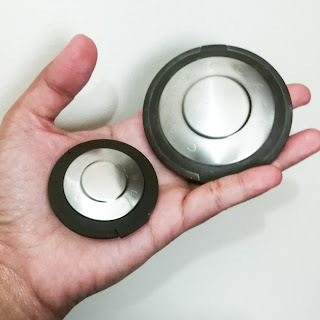 For the full size Shimmering Skin Perfector, you get about 8 grams of product for around $40.00. 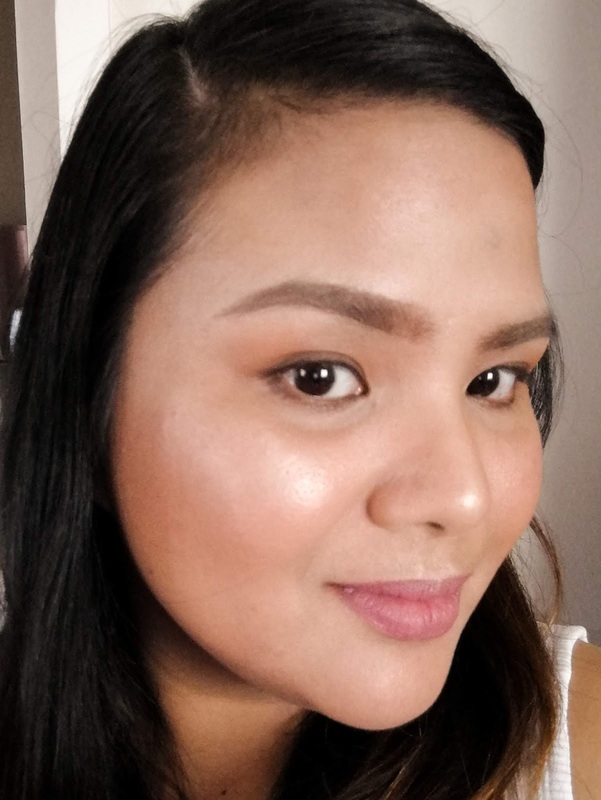 What I love about Becca's Shimmering Skin Perfector is how beautifully they blend into the skin. The shine is buildable to a shockingly blinding effect but personally I prefer the glass-like look it gives my skin when subtly applied. 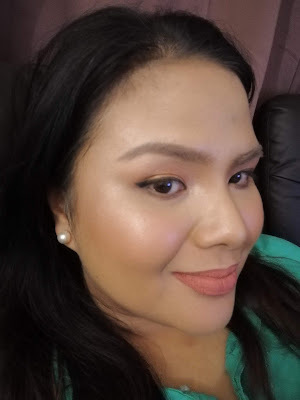 It is the best brand of highlighter I have ever tried because it reflects light so seamlessly that your skin actually looks lit from within and flawless. 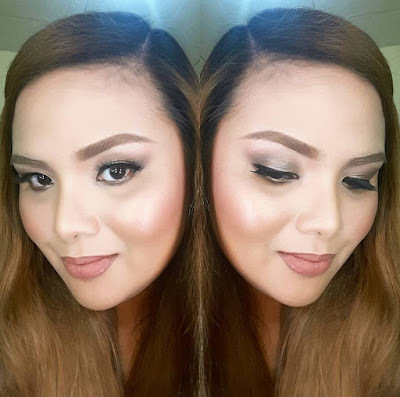 It doesn't emphasize lines or pores but gives you that almost ethereal, healthy glow we all love. I like using it with my full motd and almost always reach for it during special occasions. The glow stays on my made up face all day long and I never have to do any touch ups. Each Becca Golden Glow Trio comes with three mini compacts in the shades Champagne Pop, Opal, and Moonstone. Champagne Pop is a yellow gold tone with a very subtle peachy-pink undertone. Among the three, I find that this my personal favorite. 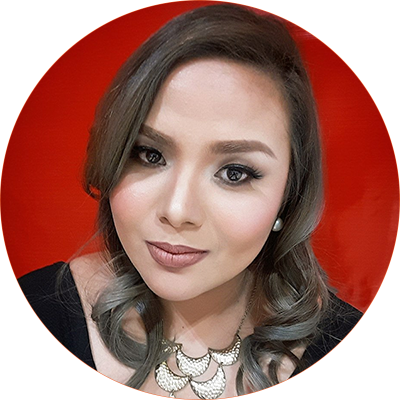 Light enough to give fair skinned glamazons that golden glow and warm enough to make warmer skintones glisten like satin in the light. This shade is a Becca x Jaclyn Hill collaboration. This is the highlighter that made me fall in love with highlighters in general. Opal is a described as the universally flattering highlighter with a light pink pearl shade that works really well with warm or darker skintones. It reflects back as more of a white gold sheen than yellow. 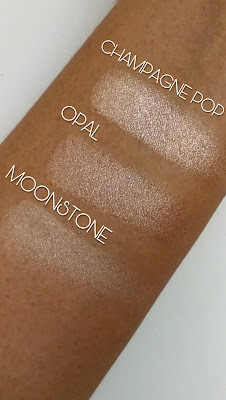 Moonstone is the lightest and coolest shade among the three. It would certainly look great on fair skin but would still work on darker skintones as well. I would definitely gravitate towards it if I'm using cool toned colors for my motd. Slate grays and silver would work well with this highlighter. It is renders its sheen in a pale, incandescent glow. If I had to mention any cons regarding these highlighters, it would be the fact that they are pricier than the usual highlighters I have. They aren't available in the local market and you usually have to order them online. Thankfully, Sephora carries Becca products so this shouldn't be an issue. Lastly, I find that they are extra fragile compared to my other highlighters. I have had to repair my full size Chamapagne Pop after I made the mistake of checking it in my luggage when we flew to Manila. I would suggest, carrying it in your in the safety of your purse/ makeup bag when you travel. This set makes travelling with Becca more convenient as the smaller, solid packaging makes it easier to secure the product. I would definitely recommend the Becca Golden Glow Trio to my fellow Glamazons. It lets you experience the bestselling shades of this beautiful line of highlighters without breaking the bank and their size makes them easy to take along for touch ups (although I've never had to do so with Becca).